NGINX is the new rising star among other web servers. In fact, NGINX is now the 2nd most widely used web server (22 million websites) in the world. NGINX fanboys will tell you no one can top their love of NGINX, because it succeeds in efforts to achieve high performance with small memory footprint. It makes NGINX suitable to deliver static content, to work as a reverse proxy, or even to run as a load balancer, all of the above in a fast and scalable way. Several well-known companies pick NGINX to power their sites, including WordPress and Github. Figure 1: Monitis shows a nice graph for NGINX Stub Staus. 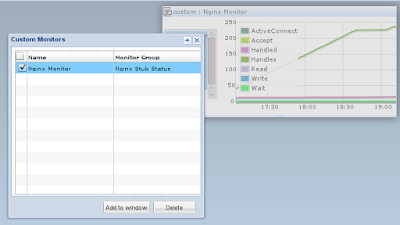 Figure 2: Monitis provides a cleaner output for NGINX Server Stats. 1. Install NGINX stub_status module. Here we use port 80, and listen on localhost with address of nginx_status. 3. Start your NGINX Server. 4. Download the code and run the program. "[monitorname]" "[minitortag]" "[nginx stub status url]"
5. Log in to your Monitis account and start monitoring. You can see a new custom monitor ready to be added. Check and add your new monitor to your dashboard. In this article, we demonstrate an enterprise solution in NGINX monitoring. In five steps, Monitis is able to organize the statistics into columns; you can also track data continuously with a nice graph. Furthermore, you can add as many custom monitors as you like, all in your Monitis dashboard. Get your free registration here, and monitor your NGINX servers effectively.